There is very little information available on the psychological care needs of people with malignant mesothelioma. Even less is known about people who have been exposed to asbestos but do not have mesothelioma. A newly published systematic research review sheds light on the distress people experience in these situations. In March 2018, the American Journal of Industrial Medicine published an article highlighting the need for additional studies. Researchers described what is known about asbestos-affected people and how and why they experience so much mental and emotional distress. The authors identified 12 papers on the psychological distress and care needs of people with mesothelioma and nine papers about asbestos-exposed people without mesothelioma. Results showed the majority of people affected by asbestos were men, and they came into contact with asbestos through occupational exposure. Secondhand — sometimes called indirect — exposure was the second-most common way in which people encountered asbestos. Family members or others living with a person who works with asbestos may come into contact with work clothes, tools, skin and hair accidentally contaminated with asbestos. This is one of the explanations for rising mesothelioma rates in women. 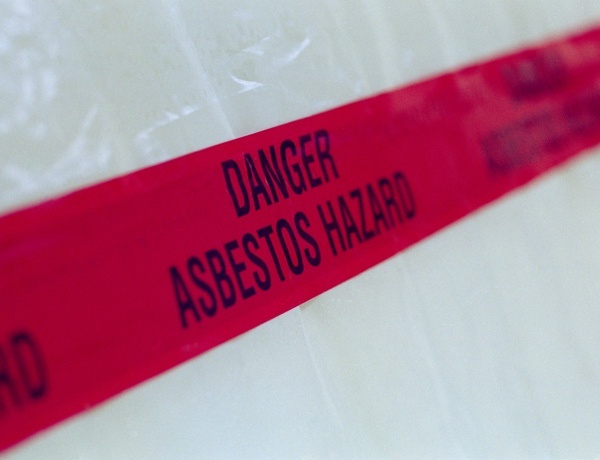 People also encounter asbestos if their homes are near a contaminated site. They may come in contact with it if they have hobbies, household or leisure activities, such as renovation projects, associated with exposure to the material. All of the papers reviewed concurred: Mesothelioma patients experience significant psychological distress. At mesothelioma diagnosis, the studies documented stress reactions, including shock, dismay, anxiety, depression, apathy, difficulty concentrating, anger and social dysfunction, in patients and family. Many mesothelioma patients directed anger toward family members and physicians, not employers. The authors noted this may be due to the time between exposure and disease — up to 50 years in some cases — and patients feeling loyal toward employers. Health care professionals played an important role in severity of distress. Health care providers with better communication skills can help lessen distress and trauma among patients. This finding supports the importance of seeing a mesothelioma specialist. The most knowledgeable doctors and nurses are in the best position to help you navigate treatment options. They can do this with skill and compassion. In both groups, the most common coping strategies were avoidance and denial. These are normal responses to stressful events and can be helpful in the short term. Unfortunately, they can make the situation feel worse in the long run. Mesothelioma patients exhibited “sickness behavior,” a set of nonspecific symptoms — fever, loss of appetite, depression, anxiety, trouble thinking and exaggerated pain response — occurring in response to receiving the diagnosis. There is good news: Quality of life improves and distress decreases in people who receive the supportive care and help they need to cope with their mesothelioma diagnosis or previous exposure to asbestos. Had access to clear and accurate legal information on the possibility of compensation. Participated in an asbestos support and awareness group or mesothelioma support group. Took advantage of physical therapy care to improve physical function. Improved their diet to improve health. Received palliative care (for mesothelioma patients).